Hair care is one thing, but stylisation is also highly important. Once we take good care of our hair, we want to highlight its beauty. Our hairstyles can be even more charming with Hair Tie Bracelets. What is it? What’s even more interesting is whether their popularity can outgrow the Invisibobble? We will see about that soon enough. Since Invisibobble became popular on the Internet, more and more women reach for these convenient springs. These can be used as a bracelet, but are also beneficial to the hair. It is easy to have it with you, there is no pulling, these are not too obvious and hair is not that tightly hold as with other hair ties. Recently, the worthy successor to the Invisibobble became Hair Tie Bracelets. What is Hair Tie Bracelet? Is hairstyle created with it convenient? Can hair jewellery replace the well-known springs? We should start by saying that the Hair Tie Bracelet is, in fact, standard hair tie placed on the decorative element. Thanks to this, it fulfils two functions: a jewellery, but also holds hair in the tie. 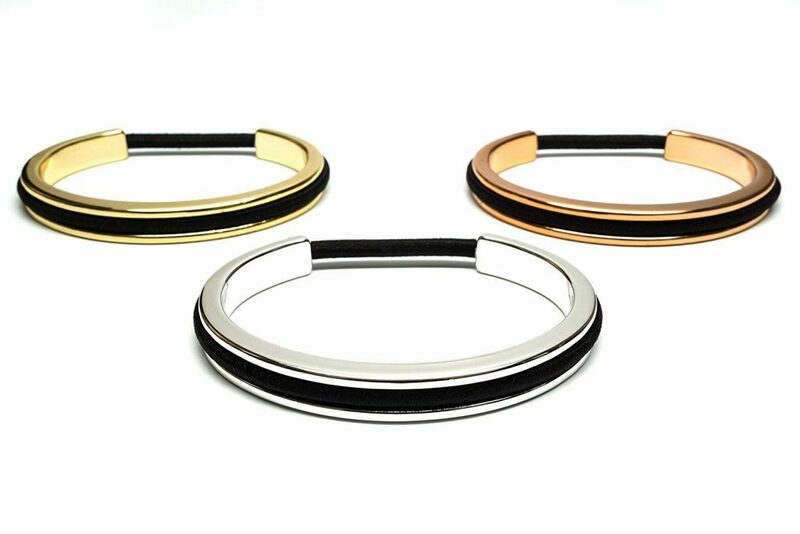 There are available various versions of the Hair Tie Bracelets, like silver, gold, copper. However, in every case, it is a metal element combined with an elastic hair tie. There is one major advantage of the Hair Tie Bracelet over the regular hair tie. The rule is simple: the metal clip frames, e.g. ponytail and decorates it while hiding the not too elegant hair tie, that holds hair. This hairstyle is way more aesthetic. There is no need to first tie the hair and then decorated with additional accessories. In spite of Hair Tie Bracelets becoming more popular lately, there is nothing that would indicate these will replace Invisibobble. The rubber springs are more convenient when it comes to the everyday hairstyles. While using the decorative accessories for occasional ties when these should be standing out and attractive. Use of average hair tie attached to the metal element is worse for hair than the gentle Invisibobble. The most popular lately Hair Tie Bracelets by Maria Shireen are available in several versions. You can choose out of smooth or decorated with flowers metal circles in silver, gold and rose colour. Always combined with a black hair tie. Nonetheless, Hair Tie Bracelets by Maria Shireen is an expensive investment (five times more expensive than Invisibobble).